Beethoven fans were certainly out in their droves for this triple bill with Vienna Tonkunstler Orchestra. 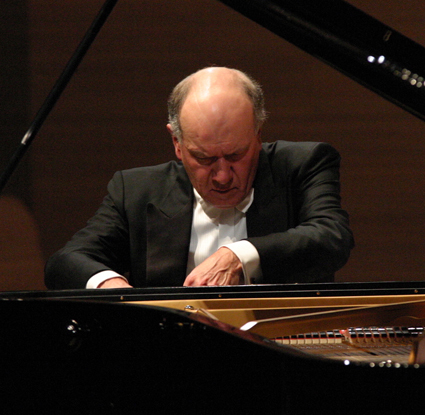 Featuring Symphonies Nos 5 and 6, the evening also included renowned pianist John Lill performing Piano Concerto No 4. It was indeed a feast of Beethoven at a certain stage in his career as all three pieces were composed within a few years of each other over a period of roughly 1806-1808. At Symphony Hall in Birmingham, Vienna Tonkunstler music director Andres Orozco-Estrada coaxed every nuance of Beethoven's music out of the orchestra, ensuring just the correct balance between dramatic overload and rippling melody. To begin with, we had the mighty composer in playful mode with the Pastoral Symphony No 6. Its light-hearted frolics were deftly thrown into the air and then caught by the orchestra as they ricocheted back and forth between birdsong, country revels and the whole world of nature – including the powerful storm of movement IV. John Lill then took his seat for the Piano Concerto No 4. One of today's foremost pianists, Lill is internationally renowned for his skills with Beethoven concertos and this proved to be no exception. There were moments when the entire audience seemed to hold its breath waiting for the next key stroke while Lill also managed apparently effortless interplay with the orchestra. Finally we had the great Symphony No 5. While conflicting theories attend the famous opening bars, no-one can deny the complete mastery of form in this symphony. Beethoven takes those first notes and then plays them and replays them, building their context, their delivery and their role so that they remain at the heart of the music. It's a wonderful piece of composition and the Vienna Tonkunstler succeeded in doing it justice. The performance could be said to be slightly underplayed but it kept its momentum – a risk when too much emphasis is placed on the beginning. While Symphony Hall still had some spare seats the concert was being listened to by many thousands more as it was broadcast live on BBC Radio 3.